With proven results, extensive experience, and a passion for justice, the attorneys at Bernstein & Maryanoff are committed to protecting your rights. After sustaining injuries in a car accident, the last thing you want to do is navigate the insurance maze that follows. A trusted car accident attorney can help guide you through the claims process to get the compensation you deserve. A property owner’s carelessness can lead to unsafe conditions for you or your loved ones. If you experience a slip and fall due to negligence, an experienced lawyer can help build your claim for compensation. Neglect and abuse in senior assisted living facilities can result in a wide range of injuries or even death. A skilled attorney can ensure the parties at fault are held accountable, and safety and dignity are restored. The challenges that follow the death of a loved one due to negligence can be overwhelming. If you are looking to file a lawsuit, it’s essential to have a dedicated attorney behind you to handle your claim during this trying time. With an unrivaled knowledge of personal injury law, the experienced attorneys at Bernstein & Maryanoff fight to protect the rights of clients throughout the Miami area. We have the expertise to handle negotiations with insurance adjusters to ensure you’re protected and fairly compensated for your injuries. Understanding what steps to take after an auto accident can be confusing. The immediate implications usually include medical attention for your injuries and the repairs needed for your vehicle. Often, personal injury victims can be overwhelmed and fail to seek legal representation before dealing with the insurance companies, which can prove to be costly in the long run. As experienced car accident lawyers, Bernstein & Maryanoff have a strong reputation for proven results when it comes to representing victims of auto accidents in Miami and throughout Florida. 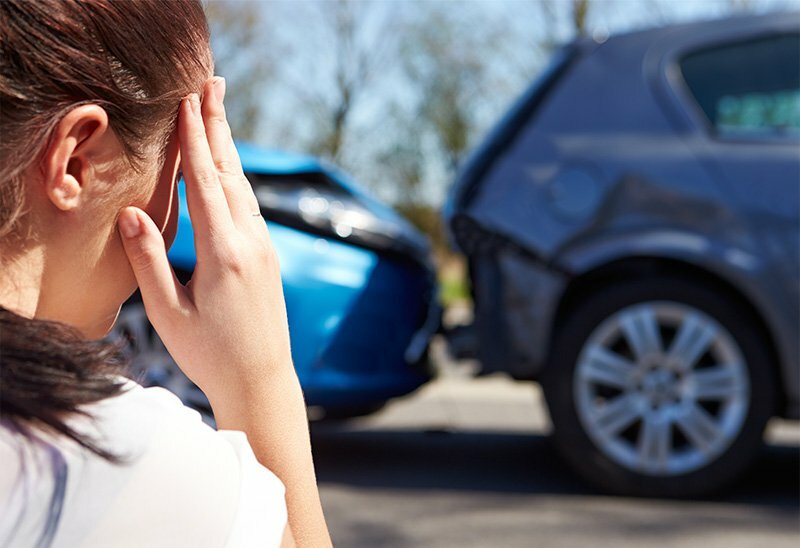 Our team of legal experts understand the complex laws associated with auto accidents and will expertly present your claim for lost wages, medical bills, car repair, and other damages to get the full compensation that you need to recover. If you sustain a slip and fall injury due to a property owner’s negligence, you may be entitled to file a claim for damages. Insurance companies will often try to offer a quick settlement or may even ignore you completely. With one of our experienced lawyers by your side, you can feel confident knowing we have successfully handled a wide range of Miami slip and fall cases. Each state has specific laws associated with slip and fall claims, and Florida is no exception. Our injury attorneys pride themselves on knowing the ins and outs of Florida’s legal code to protect your best interests when negotiating and presenting case facts to insurance adjusters. You don’t have to go at it alone. Finding out your loved one has been a victim of neglect or abuse while living in a nursing home or assisted living facility is both shocking and heartbreaking. The most critical step is to remove your family member from the situation, then consult a legal professional to file a personal injury claim. The attorneys at Bernstein & Maryanoff understand the difficulties associated with these situations and the impact it can have on victims and their families. We have fought and won damages for the cost of medical treatment, emotional distress, and pain and suffering in numerous nursing home abuse cases. Our skilled legal team will fight to protect your rights and ensure the negligent parties are held accountable. Medical malpractice occurs when a doctor or healthcare provider has failed to follow proper procedure or did not provide adequate care that resulted in injury. These cases can be very complex and require a great deal of investigation when presenting a claim. This is why it’s essential to have strong legal representation throughout the process. Consulting with an experienced Medical Malpractice attorney is the first step towards filing a medical malpractice claim. Our legal team can determine if reasonable care was not exercised by the medical professionals and if the injury or death is a result of that neglect. Examples of malpractice include failure to diagnose, surgical errors, birth injuries, failure to monitor patients, and failure to conduct appropriate tests. The sudden loss of a loved one is devastating. With the initial shock and emotional grief that follows, it’s hard to know where to turn if you feel the death was due to negligence. Although some may be hesitant to take legal action so soon after this painful event, it’s important to understand that securing qualified legal representation can help protect your right to recover. Our trusted attorneys are here to walk you through the process and pursue the right legal path to help your family start the healing process. With our experienced legal team by your side, we approach each case with the dedication, dignity, and expertise you and your loved ones deserve. Meet Jack G. Bernstein, Esq. Jack G. Bernstein has been practicing law since 1983. His expertise in personal injury has gained him recognition in Miami and across the state of Florida. The unique strategy that led to his success rests on his passion for protecting his clients’ rights and genuine concern for those in need. Mr. Bernstein is proud to call Miami home. He had the privilege of serving as Judge Manual A. Crespo’s clerk before graduating from the University of Miami. Mr. Bernstein now practices in Florida and is personally involved with all cases in his firm. He prides himself on the outstanding legal performance delivered by his hand-picked team of attorneys and support staff. Take the uncertainty out of the equation. For no fee, consult with a Bernstein & Maryanoff personal injury attorneys for expert advice on your claim. Regardless of the circumstances, it’s always best to speak with an experienced professional to ensure your right to recover is protected. As with all our cases, there is no fee unless we win. The team at Bernstein & Maryanoff has fought for and earned the compensation our clients needed to get back to their lives. Our firm’s reputation is built on past successes, and our client’s substantial settlements speak for themselves. For expert representation with proven results, look no further than Bernstein & Maryanoff. With so many variables associated with personal injury, it’s crucial to have strong legal representation. Our personal injury law experts are here to answer your questions and help guide you through the process. To determine whether or not you have a legitimate claim, it’s important to speak with a professional who understands the complexities of negligence and Florida personal injury law. Our consultations are always free, so call today for a risk-free case review. Call us for a free case review and consultation. Service was good and timely. No complaints how my auto accident was handled. Bernstein & Maryanoff do their best to make sure you get the maximum compensation for your injuries. Please call us before you speak to an insurance company.